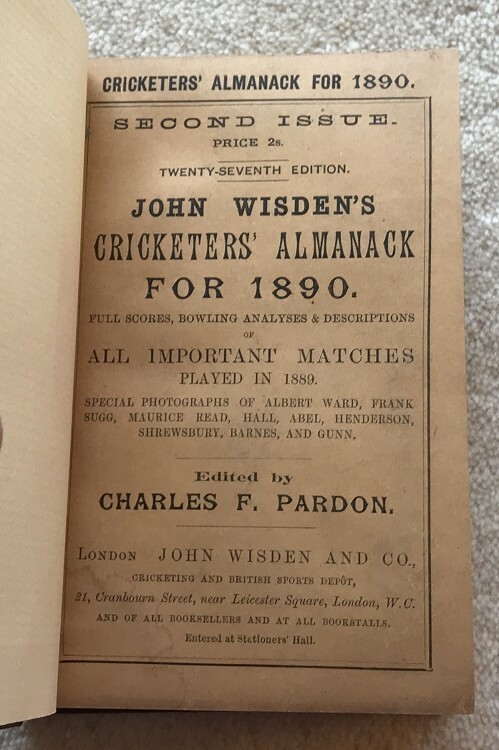 This lot is a 1890 Rebound with Covers Wisden, in very good condition, the covers are wonderful, slight trimming with a very light mark to the rear cover. Second Issue. It is bound very tidily in brown, new boards. Excellent photoplate with very good tissue paper too. One for the perfectionist.